We visited Kalamaki between 10 July 2013 and 17 July 2013 and have to agree with all the positive comments made on this website. It really is a wonderful place to eat and we ate there twice during the week. It would have been more but we wanted to visit some others too. The staff are wonderful, they made a big fuss over the grandchildren (they are still talking about it now we are back home). The food and service was brilliant too. We all loved the Greek dancing with the fire and the plate smashing. The service was very good and they took their time in helping you to choose what to eat and when it arrived it was perfect. A great restaurant and thanks for helping to make our holiday so special. WE TRIED THREE RESTAURANTS BEFORE WE TRIED THE AMBROSIA. THE FOOD WAS EXCELLENT SO MY FAMILY AND I DECIDED THAT WAS THE PLACE FOR US SO WE DINED THERE THE LAST FOUR NIGHTS OF OUR HOLIDAY. THE STAFF COULD NOT HAVE BEEN MORE HELPFUL IN EXPLAINING EXACTLY AS TO WHAT SOME OF THE DISHES WERE. DISCUSSED ON HOW MANY SARDINES OR GRILLED PRAWNS I COULD HAVE AND AT THE SAME PRICE.
" WE WILL BE BACK NEXT YEAR "
HAVING TRIED THREE OTHER RESTAURANTS,THE AMBROSIA WAS BY FAR THE BEST. THE FOOD WAS EXCELLENT ALONG WITH THE STAFF WHO ALL ADDED TO A MEMORABLE EXPERIENCE. ROBERT (no he's not english) WAS GREAT,WE EVEN DONE DEALS ON HOW MANY SARDINES OR GRILLED PRAWNS WE COULD HAVE AND THAT WAS FOR THE SAME PRICE. I WAS WITH MY FAMILY OF SIX IN TOTAL AND WE COULD NOT FIND FAULT WITH ANYTHING. AS PROMISED BOYS AND GIRLS, " WE WILL BE BACK"
Here at the Ambrosia restaurant we welcome all the customers comments and pride ourselves on the 90% + positive feedback that we receive as well as the many returning customers we have year after year. All of our meals are freshly prepared with the best quality produce , so occassionally we may take more time to bring our food to your table. ...The Ambrosia management. 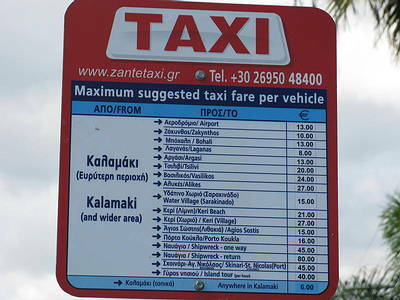 We stayed at Exotica hotel Kalamaki July 2012. Whilst staying in Kalamaki we visited Ambrosia restaurant at least 5 times during our 2 week stay. Between the six of our group we tried many dishes off the menu. Every single meal we had was spot on, excellent food. The service was amazing, they made us so welcome, especially our 2 children of 4 and 9 yrs.. A week after getting home that is still all they are talking about!! Fantastic dancing. Can't wait to go back. i have tried this restaurant twice, it was wonderful. I have been there with my husband and my 2 kids, Sam and Katie. the food there was great, the staff absolutely friendly and the atmosphere so nice. But our favorite part was kids dancing, when the waiters take my kids and some other kids that were in the restaurant by that time, and dance a Greek dance. I have felt so beautiful when i saw that my kids was so happy. i would like to thank Mr Achilles and Mr Roberto (2 of the waiters) for their service and for the whole atmosphere that they make in to the restaurant for us. average at best have tried most of their food over the last 5 years. Just returned from a week in Zante and had to add a review about Ambrosia. The food was amazing and i enjoyed every minute of being in the place. The staff are excellent, really friendly and helpful and made me feel at ease as i was travelling alone. The manager Chris, welcomed me at the door and couldnt have been nicer. As an added bonus the greek dancing and plate smashing just added to a wonderful night. If you get the chance make sure you call in and have a bite to eat. Best Greek food i have ever had. Went to Ambrosia several times during our stay in August this year. Wasnt disappointed all the previous reviews spot. In some ways the food is secondary as the staff with their dance routines and endless energy and friendliness makes you feel as if you being there is so important to them. As for the food, goes without saying very tasty and we never had anything which we didnt really enjoy. If you could only pick one meal out this is the one to pick. Special mention to the house manager who welcomed us and bid us a good night at the end of the meal, great guy who really wants you to enjoy the meal and appreciatesyour feedback. Sorry we thought you were south african. Have just returned from Zante, and we stayed in kalamaki and went to the Ambrosia a few times, we had great service and great food! The waiters were very friendly and kind to my 9 yr old son, making him feel special. The surprise for me was the Greek and fire dancing a fantastic add to a great place. It was always busy and the staff did not stop for breathe to ensure the time spent there was worthwell. I think we spent on average for 3 of us around 32 euros including drinks and desserts. Wonderful restaurant with fantastic food, service, staff & entertainment. The staff genuinely care about their customers and the food they offer. The atmosphere is fantastic with plenty of Greek dancing and plate smashing! Thank you to Christo and co for several wonderful evenings there! Will definitely go again when I return to Kalamaki! Fantastic the best resturant in Kalamaki by far !! their lamb Kleftico is amazing!! the staff are all really friendly and the food is lovely. Well worth a visit. Once you have visited this resturant you wont want to go any where else !!! 1st class restaurant. The sevice and food excellent . Staff really friendly and polite , nothing was too much trouble . Try their Lamb Kelftico , really nice . 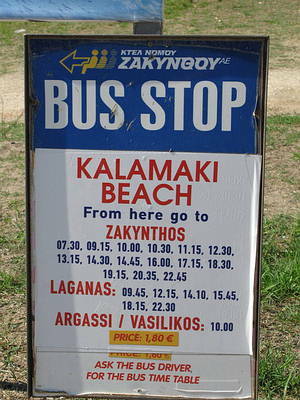 Would recomed anyone goin to kalamaki , to go there beacuse once you've been there you wouldn't want to go any where else. I have been to Kalamaki several times and have eaten at most of the restaurants there. The food at the Ambrosia is brilliant, the best in Kalamaki in my opinion. The servce is second to none and their house wines are excellent. Try their stuffed chicken, it is the best I have had, anywhere. Oh wow the food here was amazing and the portions very plentiful!! I am surprised to see it has no reviews maybe it's a new restaurant this year? Anyway, highly reommended. Couldn't fault the place from the staff to the food and ambience. Excellent. Highly recommend the specials the Zakynthian lamb and pork in wine and mushroom sauce- Melt in the mouth! Yummy! !